From Goodreads ~ Anna Sweet's PI business partner, Jada Price, has gone missing. Anna and new hire, Nick Roma, team up to find her. The trail leads them to a teenage girl's murder and a secret internet dating site. 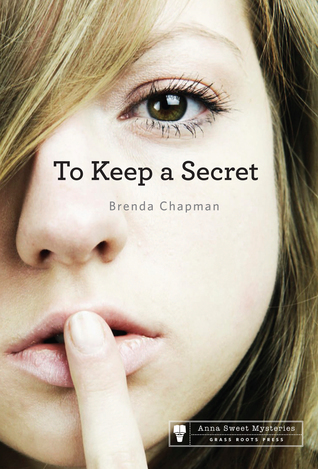 Anna is about to discover how far people will go to keep a secret and who they will betray. She must work quickly to uncover the answers before a second victim dies. Will this case prove too difficult for Anna Sweet? Or will she put the clues together in time to outsmart a killer who has everything to lose? Anna and Jada, both former police officers, run a private investigations firm. Henry, Jada's teenage brother, has been threatened and he and Jada go into hiding. Henry and his school friend, Mandy, had hacked into a dating site where married men are looking for action on the side and they blackmailed a few of the men. Mandy turns up murdered and it seems that Henry may be next. Understandably, Mandy's family is devastated. Anna and her brother-in-law, Jimmy, who is a police officer, start investigating the men who had been blackmailed, one of whom is a cop. I've read quite a few books by this author and I liked this one. It's a quick read at about 100 pages. It's set in the author's hometown of Ottawa. I like this author's writing style. It is written in first person perspective in Anna's voice. Though it's the third in the Anna Sweet series, it works as a stand alone.